our most meaningful VR Project Yet. We designed this virtual reality experience for an organization that connects famous musicians with sick kids in hospitals in need of an escape. The experience allowed patients to easily navigate with minimal head movements, even when lying on their side, to and watch concerts in immersive 360. 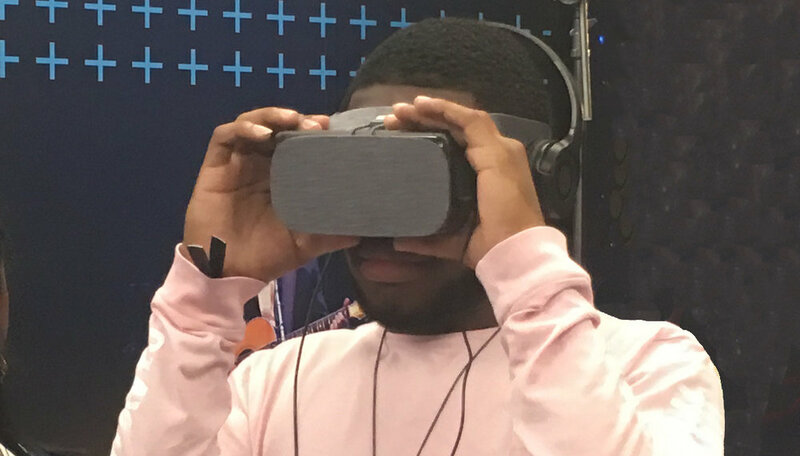 We built the system for cross-platform Virtual Reality with a focus on Daydream, which allowed for easy portability and updates in the hospital setting. Innovative UX design for Easy Look interface. PTE Sphere used for video playback and rotation based on user orientation. This project was a partnership with Quantum Interface.